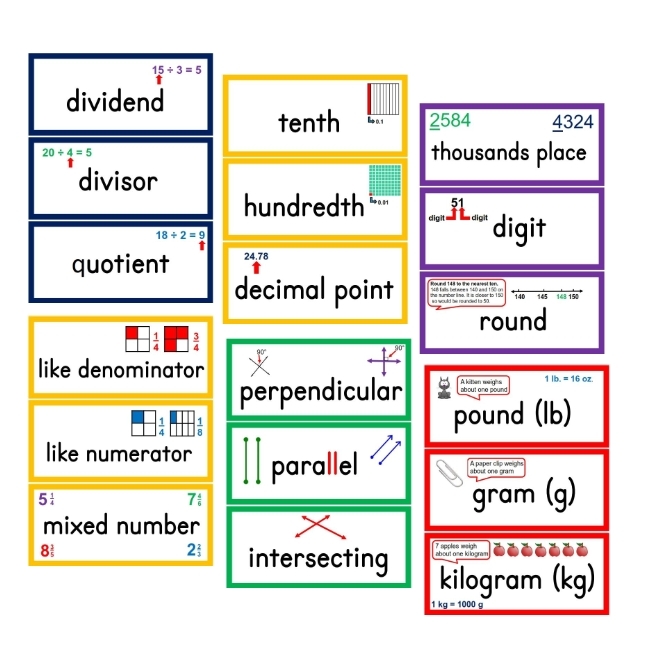 162 math word wall cards in large font (3 cards per page). Cards for each domain are color coded. Print on cardstock and/or laminate for a set of word wall cards that you can reuse year after year. All vocabulary is aligned with the Common Core State Standards. 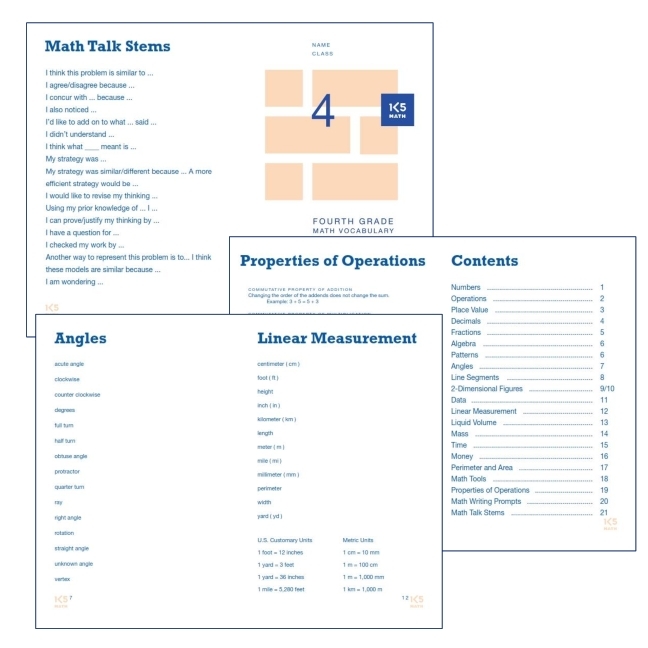 8 Properties of Operations Cards in both word wall and student notebook size. 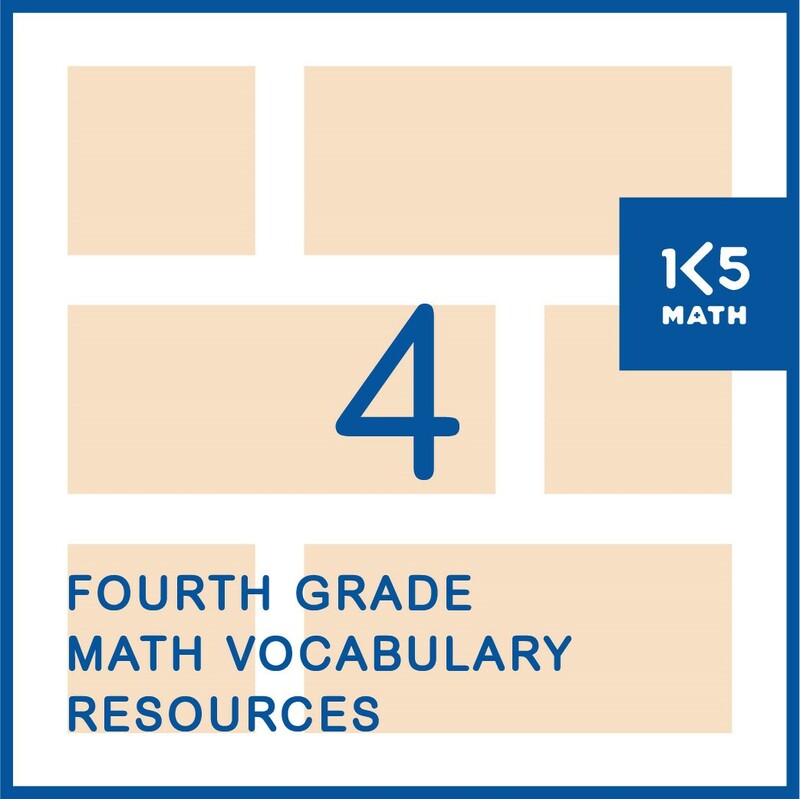 a student math vocabulary book containing over 200 math words for 4th grade, as well as math talk stems, math writing prompts, a multiplication grid (12 x 12), and space on each page for students to write definitions as needed. 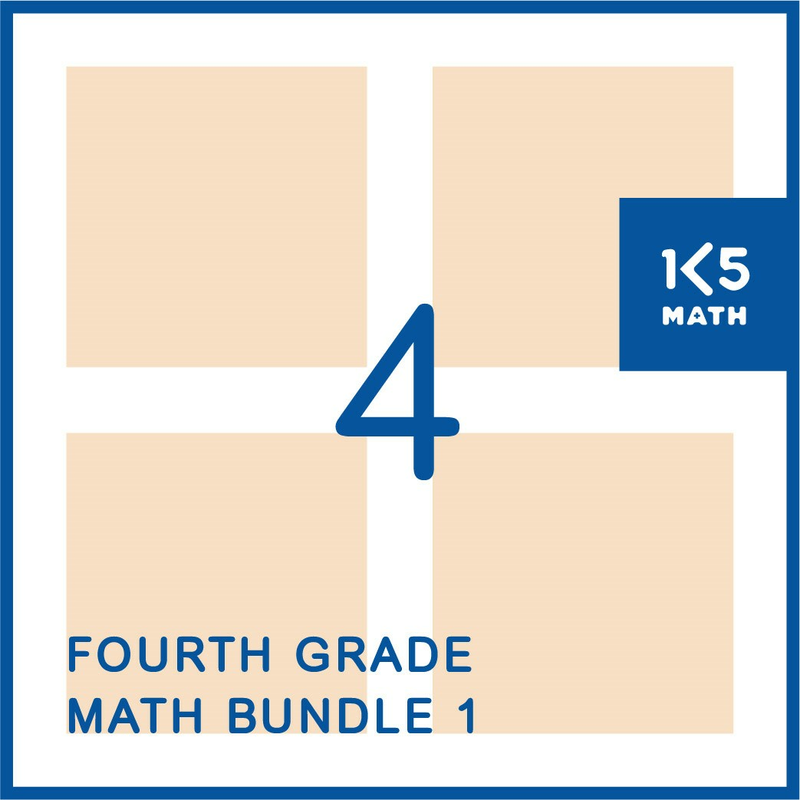 Print a copy for each student in your class (6 double-sided pages) and watch their math writing skills improve. ideas on how to make an interactive math word wall to promote student independence, develop math vocabulary, and support reading and writing in mathematics.